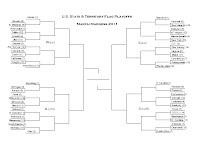 March Madness: Round Two of the South Regional Division of the U.S. States and Territories Flag Tournament!!! The Rules: For each of the pairs of flags pitted against each other, indicate your favorite. Explication, derision, and/or analysis -- of the flags, not your fellow voters -- will not affect the scoring, but is nevertheless encouraged. Each winner will advance to the Sweet Sixteen. South Regional Voting Deadline: 11:59 p.m. PST, Saturday, March 12. East Regional Voting Deadline: 11:59 p.m. PST, Friday, March 11. Make your votes in the comments. In my bracket, I had been expected Florida to be competing here. However, Alabama won against Florida. The winner of this match-up was the same in either situation, however: the exceptional SOUTH CAROLINA. 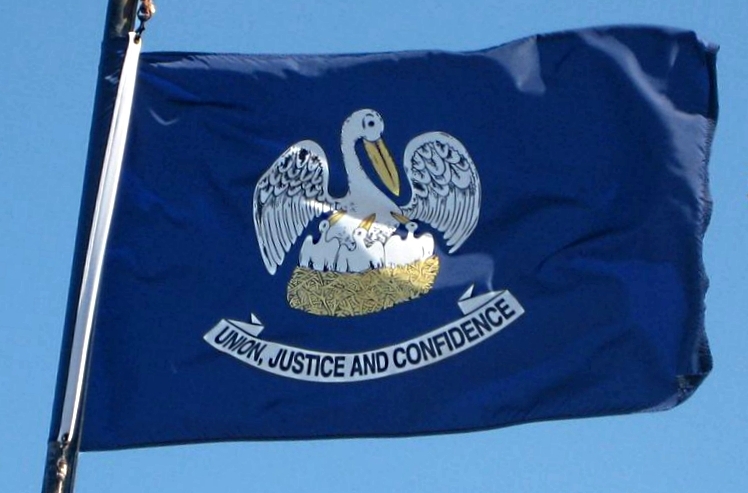 Here my vote goes to LOUISIANA. 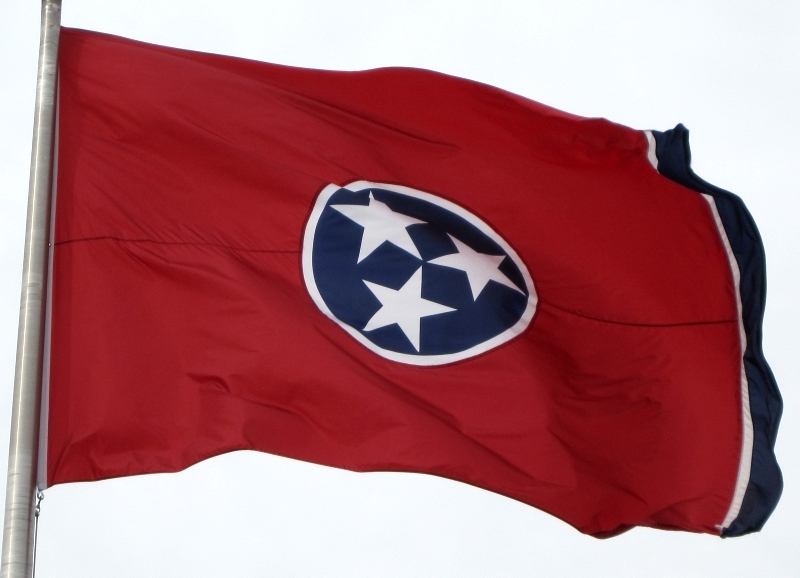 I like pelicans, and I never really liked the star positioning on Tennessee's flag. In my bracket I had the U.S. Virgin Islands taking on North Carolina instead of Texas. 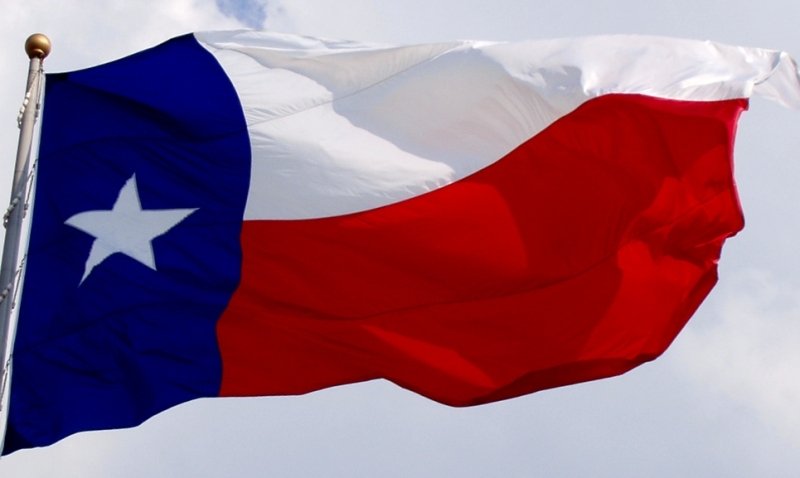 However, the voting public has spoken, and in my opinion TEXAS is a far superior flag than the banner from North Carolina. I find the flag of Puerto Rico to be generic and uninspiring. 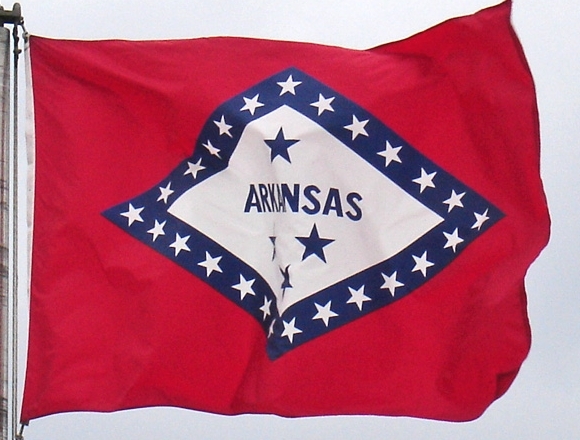 On the other hand, I find ARKANSAS to have an interesting, attractive, and recognizable flag. You have corrupted my nephew, M5K! If I hear that he's been keeping spreadsheets of his track scores and cross-country mileage this spring, I'll know who to blame. Quilting would be okay, though. 1. South Carolina and sharia law! 2. Tennessee. Still mad at the damn pelican. 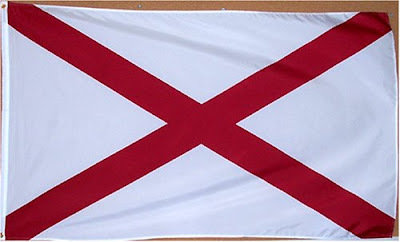 Plus it's just silly-looking, and possibly has a biblical reference which I object to due to sharia law! 3. Texas, for its clean lines and the fact that it is the next place where I will be going to impose sharia law! 4. Puerto Rico, a lovely flag, and a secret enclave of sharia law! Oregon has gone to its reward and is now surrounded by virgins, or raisins, depending on your translation. Insh'allah. 4. Puerto Rice; do I need to explain? 1. Alabama over South Carolina. 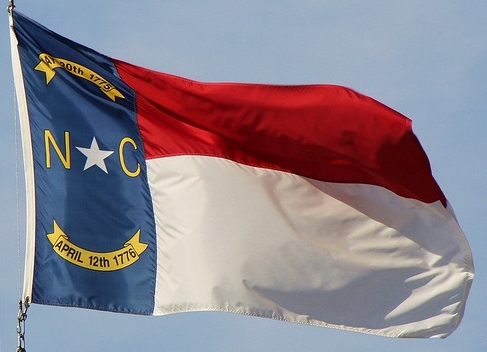 This was a close one because I like the subject matter of South Carolina's flag. However, Alabama's flag wins on simplicity and flagginess. 2. Tennessee over Louisiana. Same comments as above. 3. Texas over North Carolina. It's interesting that these two ended up competing here, since they're almost the same flag. Only the Texas flag is better. If South Carolina were a tropical island that only appeared during solar eclipses, and if the moon were larger or if the earth-moon : earth-sun distances ratio were smaller, then the palm tree flag would make sense. I've been to South Carolina and what I noticed most were orange-jumpsuited convict labourers. Also they had jello and chocolate pudding on the salad bar. I do not, however thaink those things would make a better flag. I don't like orange. The pelicans are way cuter this round than last. They must have got some coaching assistance. But it's not quite enough to give them the edge over a real flag. Oh that is cool. It's exactly the same flag, except that in the bottom picture someone has scribbled on it with crayon and has raised it upside-down. What a classic illustration of how to wreck a flag. Not only is it better than star-struck Arkansas, which I don't believe I voted for in the first place, but it's also better than Texas. It may be the best flag in the competition. 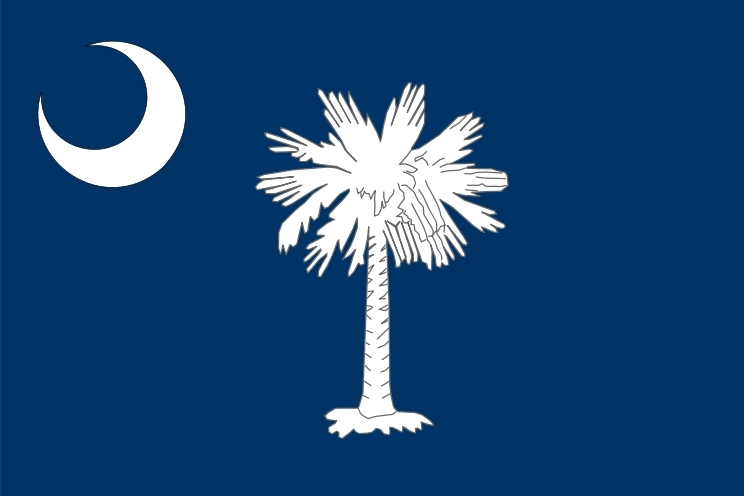 South Carolina - Though you have to wonder if they somehow accidentaly got the flag intended for some North-African nation. 1. And the survey says... Sorry AL. Clear- yes, but so little mystery, no story. SC's makes me want to know more. 2.The wacky pelican or the starred super ball? Wacky pelican! 3. This might be the biggest rout of the tournie. Virtually identical for the second 2/3, so it comes down to a nicely embossed star versus a messy letter/word crowded third. I think Texas might sweep this round. 4. Puerto Rico should be not able to enter until they make their official language English! Fine, PR wins, easily. South Carolina. Because, hey, it's like, a nighttime landscape. 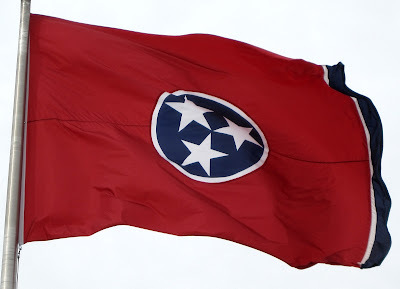 Without a big mean X.
Tennessee. I do like the blue and white stripes at the edge, they kind of make the whole starry bowling ball thing work for me. And I'm just confused by Louisiana's iconography--are Union, Justice and Confidence ravenous chicks waiting to choke down regurgitated fish fed them by the Mother State? This is a pretty beautiful demonstration of the Less is More principle. Texas, hands down. Or, in some cases, fewer is more. Puerto Rico. Oh, are you kidding? Texas by a mile. March Madness: THE NATIONAL CHAMPION!!! Element of the Month: Boron! March Madness: North and West Finals!!! 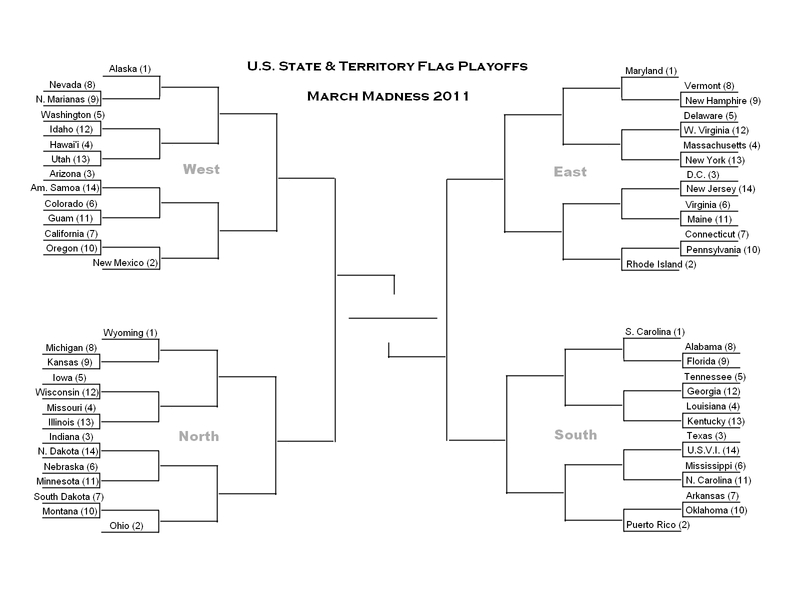 March Madness: South and East Finals!! !